Jessica Brandl holds an MFA in Ceramics from The Ohio State University and a BFA from The Kansas City Art Institute. 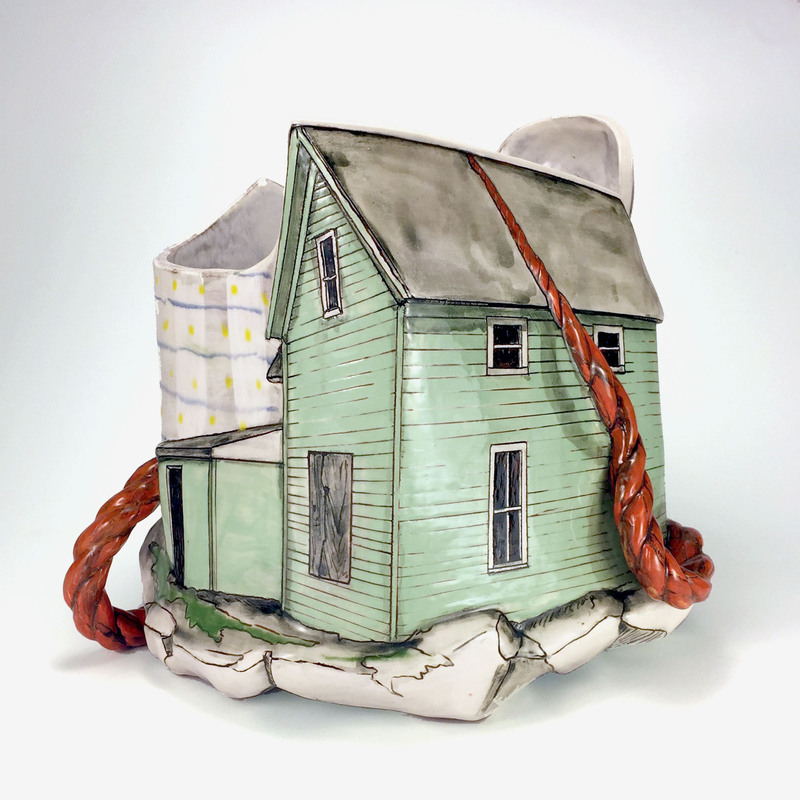 Her work has been shown nationally and internationally in numerous solo and group exhibitions, including “Ceramic Top 40,” curated by Leslie Ferrin at Red Star Studios and Office for the Arts at Harvard. Internationally her work was shown at RISD Rome in collaboration with the c.r.e.t.a.r. Residency program. Her work addresses objects and images that negotiate dialog with the past and present by exploring historic collections in museums. Brandl investigates ways to relate to past crafts people as individuals rather than antiquity. Her most recent work involves 3D scanning of historic ceramic objects as well as virtual modeling to engage the importance of touch and a sense of the living craft necessary to production. A born storyteller with a busy imagination, I am compelled to tell and retell stories. My way of storytelling is an age-old human tradition, manifested as picture-objects in clay, representations of approximate thoughts and reflections of places I knew—explained without specific words. I have explored from many directions my attraction to using ceramic for narration. In earnest, I long for clay to be the thing that carries my stories to the world and declares that, no matter how mundane, “this” too should be considered.